We who are familiar with the Gospels may suffer, at times, from a certain indifference to the sufferings of Christ. We hear the story read each year, have seen many images of the Passion, and as a result of this familiarity, we can fail to allow it to have the proper effect on our lives. But the Passion is real, it happened, and we should give it our full attention. Though it may not be pleasant, on one level, it is an act of love so mysterious that it requires much grace to enable us to penetrate its meaning and significance in our lives. 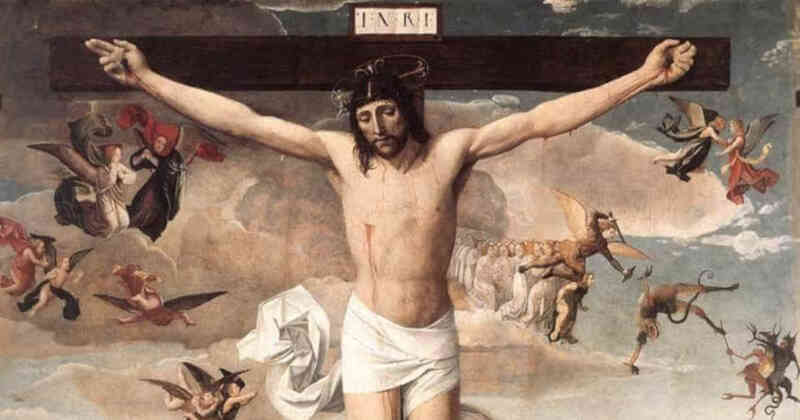 Every scourge, ridicule, nail and thorn wounded not only our Lord’s body, but it caused excruciating pain to His soul. But every pain that He endured He took into His Heart and redeemed it, offering it to the Father for the salvation of all. We must see this great mystery of our faith and gaze upon it in awe and holy wonder (See Diary #948). Have you gazed upon the suffering Jesus? Have you allowed yourself to see His pain and His suffering? Have you seen Him endure all in silence and acceptance? Reflect upon this incredible mystery of our faith this day and allow yourself to grow in love and compassion for Him who endured so much for you. Know that His suffering destroyed the effects of sin and transformed suffering itself into the instrument of His Divine Mercy. Precious Lord, I thank You for Your suffering. For in this act You took human suffering into Your glorious soul and redeemed it. You endured the effects of my sin and said not a word. Lord, You paid the price for my sins and You did so with perfect love and resolve. Give me the grace, dear Lord, to embrace all that I suffer and to unite it to the redeeming power of Your holy Cross. In that unity, free me from my sins and pour forth Your abundance of Mercy.